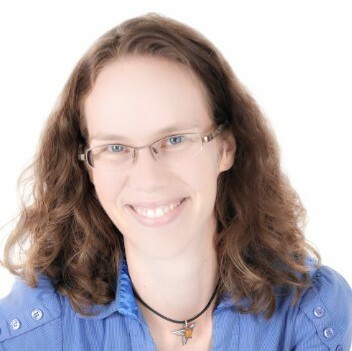 Genevieve Boyer is a registered acupuncturist in Edmonton who also practices Upledger Craniosacral Therapy and prescribes Chinese Herbal Medicine. She is passionate about guiding and empowering people of all ages and walks of life toward better health. Her treatments are informed by classical Chinese medical theories, Chinese and Japanese approaches to treatment, and a solid understanding of western physiology and anatomy. Genevieve takes an integrative approach to wellness. Her treatments may include acupuncture, herbal medicine, craniosacral therapy and Reiki, as appropriate and within the comfort level of the patient. She also offers diet and lifestyle advice to enhance the effectiveness and sustainability of the treatments when applicable. Genevieve entered university after high school intending to apply for medical school after completing the necessary undergraduate courses. In the meantime she chose to pursue a Bachelor of Science with a specialization in Zoology because of her interest in physiology (the internal workings of the body) and ecology (the workings of the environment around us). Through the course of her degree and through numerous interactions with medical doctors in relation to her own minor health complaints, she realized that she was more drawn to natural and preventative medicine than she was to prescribing medications or performing surgery. Though she absolutely recognized the value in medications and surgery, she discovered that she really wanted to be involved in a different aspect of the healing journey. She desired to be part of a healing system that could recognize and correct even minor imbalances in the body before they became major problems and that could use the body’s own resources for healing. Genevieve spent years empowering her own healing—recognizing food sensitivities, cleaning up her diet, practicing yoga, and looking after her own mental and spiritual health—before she discovered acupuncture and Traditional Chinese Medicine. Once she had received a few treatments and felt the health benefits, she educated herself about the concepts and theories of Traditional Chinese Medicine. The way that this form of medicine addressed the interaction of people with their environment, recognized even minor imbalances in the body, and used the body’s own resources for healing really appealed to her. She realized she had found the healing system that she was looking for. The next year she enrolled in the Acupuncture Program at MacEwan University, and she has been committed ever since to continuing her education in this field. Once Genevieve started practicing acupuncture, she had the opportunity to receive craniosacral therapy treatments from a colleague. She was so impressed by the results that she decided to become trained in craniosacral therapy as well, to add it to the treatments she offers. Around the same time, she decided to complete her Reiki training and become a Reiki Master, to further enhance the results of her treatments and better serve her patients. Genevieve graduated from the Acupuncture Program at MacEwan University in 2006 with Distinction. Prior to her acupuncture training she completed a Bachelor of Science Honours Degree at the University of Alberta. Registered Acupuncturists in Alberta are required to complete 25 hours of continuing education per year. Many years Genevieve has completed over 100 hours of continuing education per year—over four times what is required! All because she is committed to providing you with the best care possible! Genevieve was the first acupuncturist in Edmonton to complete the requirements to become a board-certified Fellow of the American Board of Oriental Reproductive Medicine. To find out more about what is required to gain this title, please visit the ABORM website. Genevieve also works at the Acupuncture Teaching Clinic at MacEwan University as a clinical supervisor. Genevieve was valedictorian of her graduating year in the Acupuncture Program at MacEwan University. Genevieve was awarded the Louise McKinney Scholarship in 2004 for her exceptional academic achievement in the Acupuncture Program at MacEwan University, and was also the recipient of other scholarships and bursaries, including the Rutherford Scholarship and the William Rowan Memorial Award.